Bail Denied, Ghosn Idles in Tokyo Jail. Like Others. TOKYO--After Bernard Madoff, arguably the most notorious financial criminal of all time, was arrested for defrauding investors in a multibillion-dollar Ponzi scheme, he was released on $10 million in bail the same day. Until his trial months later, he lived and slept in his Manhattan penthouse. Ghosn, 64, who until recently helmed a global car-making empire that united Nissan and Mitsubishi of Japan and Renault of France, has been indicted on charges that he underreported his income by more than $80 million for years and temporarily transferred personal investment losses to Nissan while he was chairman and chief executive. His lawyers have said Ghosn, who denies all allegations, could remain in custody for months. In the most recent court decision, he was denied bail even after he promised to surrender his passports, rent an apartment in Tokyo and pay personally for an ankle bracelet and private security guards. Ghosn’s predicament has turned a laser focus on the Japanese criminal justice system. Westerners--and particularly foreign businesses--are incredulous over the power that prosecutors have wielded. The lawyers can detain defendants for more than three weeks before bringing charges, arrest suspects multiple times to extend their detention and interrogate them without their counsel. Another French daily, Liberation, ran an editorial headlined: “This is not how it should work in a healthy society!” This weekend, President Emmanuel Macron of France told reporters that he had expressed concern to Prime Minister Shinzo Abe of Japan about the “very long” and “harsh” conditions of Ghosn’s detention. Former detainees have described jail conditions in Japan, where they are locked in cells of about 160 square feet, with tatami mats on the floor and toilets in the corner. They are allowed 30 minutes of exercise, three days a week, and eat meals with rice and miso soup. When Ghosn appeared in court--to ask for an explanation of why he was being held as well as to declare his innocence--the once robust executive was sallow-cheeked and thin. Ghosn resigned from Renault after the court’s latest refusal to grant bail. Renault had said it has seen no evidence of financial misconduct by Ghosn, but the carmaker was eager to resolve weeks of strained relations with Nissan and Mitsubishi. Ghosn signed the letter of resignation, ending a nearly 20-year career, from his jail cell. About a quarter of defendants in Japan were released on bail before trial in 2015, according to the latest data from the Japan Federation of Bar Associations. Among those who assert their innocence, the bail rate fell; 1 in about 13 defendants was granted bail. A notable exception in the United States--and a criticism--is that there is an income disparity in its justice system. 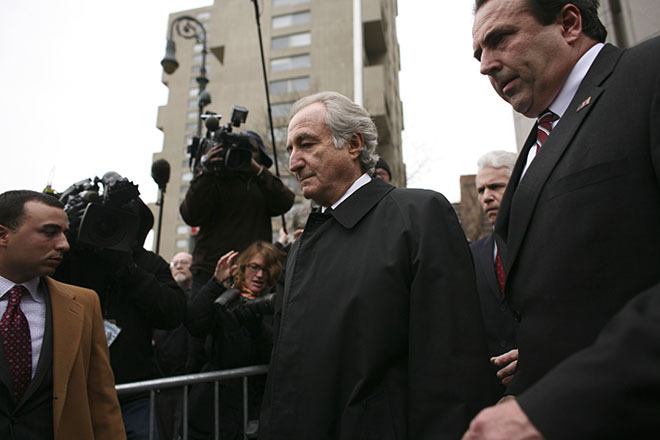 The Madoff arrest in 2008 is an example: Wealthy defendants have the means to avoid detention. 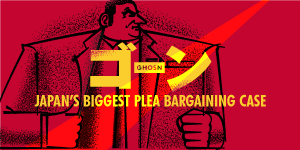 Low-income defendants often face a fate similar to Ghosn’s. According to data from the Prison Policy Initiative, last year about 536,000 people sat in jail on any given day in the United States, simply because they could not afford bail. And in France, where suspects are generally held in jail for a maximum of two days after being charged, suspects--particularly foreigners--can be kept in custody if judges rule there is a risk they could flee the country. In some cases, people have been detained up to 12 months. Japanese courts tend to interpret the notion of evidence tampering broadly. In Ghosn’s case, experts said the court might have been concerned that, once free, he could pressure former subordinates. On Monday, Nissan confirmed that it had received an inquiry, after the arrest of Ghosn, from the Securities and Exchange Commission. Nissan would not elaborate but said it was cooperating fully. Nissan was indicted by Tokyo prosecutors for its role in Ghosn’s financial filings. Speaking to reporters last week, Shin Kukimoto, deputy chief prosecutor at the Tokyo District Prosecutors’ Office, declined to give much rationale for Ghosn’s detention; he said Japanese courts did not usually employ ankle bracelets for bailed defendants. Ghosn’s wife has appealed to Human Rights Watch to petition the Japanese government for his release. The advocacy group has demurred, pointing out that the Ghosn case should “make Japanese lawmakers rethink their system” but that his case is not an outlier. Hiroko Tabuchi, Makiko Inoue and Hisako Ueno contributed reporting from Tokyo. Liz Alderman contributed reporting from Paris.